I'm so excited to share my interview with Deanna Raybourn. 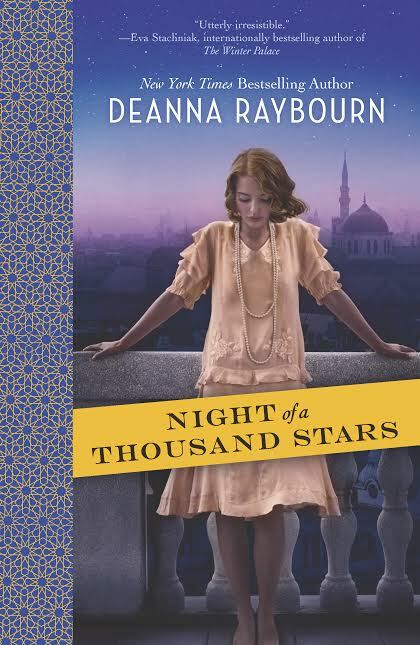 Raybourn has a passionate collection of fans, of which I am now a member (read my review of her newest release, Night of a Thousand Stars). Read on to learn more about her and her writing, her book, and what she does when she's not writing. Be sure to enter the giveaway, too! It was a governessy Victorian novel with an amnesia subplot. I had just finished rereading Jane Eyre and was feeling pretty into all things Gothic. I still think the plot has possibilities, so maybe one day I’ll rewrite it just for fun. Okay, no, I probably won’t because I’m too busy writing things I’m actually under contract to write, but I like the idea of writing it over. Only the basic premise is salvageable, I’m quite sure. I prefer to start a new book on the first of a month. For each book, I create a collage that hangs opposite my desk to give me visual inspiration when I work. I also tack up notes all over my study—revision reminders, timelines, etc. And I assemble tactile items that bring the setting or characters to mind and keep those on my desk while I write. There is also a playlist for every book. When the novel is finally finished, everything gets cleared out and ready for the next—a new collage, new playlist, mostly blank walls. I don’t really feel comfortable with a book until I have my trappings around me. Was Night of a Thousand Stars the original title of your book? That’s always been the “official” title, but the working title was Poppy's Book. It got to be a running joke with my editor that every time we exchanged the manuscript I updated it. First it was Poppy's Book. Then it was So What Are We Really Calling Poppy’s Book. After that was No Seriously I’m Getting Worried Now It Can't Be Called Poppy's Book. I think the last title was something like The Totally Awesome Book That Used To Be Called Poppy's Book But Now Has A Fabulous Title That My Editor Thought Of. I think we were all relieved when she came up with Night of a Thousand Stars. As you were writing Night of a Thousand Stars, was there a particular scene or character that surprised you? I tend not to get too surprised because I don’t really give my characters their heads. I know who they are and what to do with them. Having said that, I ended up being quite pleased with how Masterman turned out. There were hidden depths in her that were a lot of fun to plumb. I’m extremely lazy and not good at hobbies, so I mostly just putter. I read a lot, I play at knitting, I love to travel, and I adore my family. I also spend a fairly obscene amount of time on Twitter. Yes! Catherine Bailey’s The Secret Rooms was divine—nonfiction but it reads like a delicious stately home mystery with all sorts of aristocratic skeletons lurking in the closet. My thanks to Ms. Raybourn for her time and thoughtful answers. 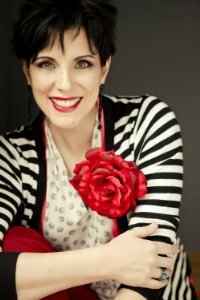 You can learn more about her and her books on her website, and connect with her on Facebook and Twitter. I'm thrilled to offer a copy of Night of a Thousand Stars to one lucky reader! To enter, fill out this brief form. Open to US readers only, ends 10/17. Thanks for the post. Love this authors books especially the Lady Julia series. Great interview. I have enjoyed every book of Deanna's.